My friend Tucker is a comic book geek. In fact he even works at the high brow comic book store, Bergan Comics in Park Slope. 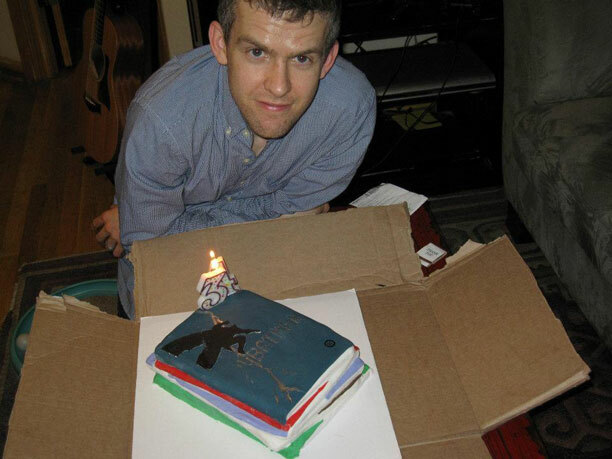 So for his birthday, it seemed only fitting that I make him a cake that looks like a stack of comic books. His favorite is a Batman comic with this ominous looking cover on it. I decided to hand paint the lightning bolt and make the batman shadowy figure out of fondant. I think it came out pretty well and fairly close to the original. The most challenging thing about this cake was applying the fondant. When you do a stack of books like this normally you could make each book a cake, cover it in fondant and then stack. 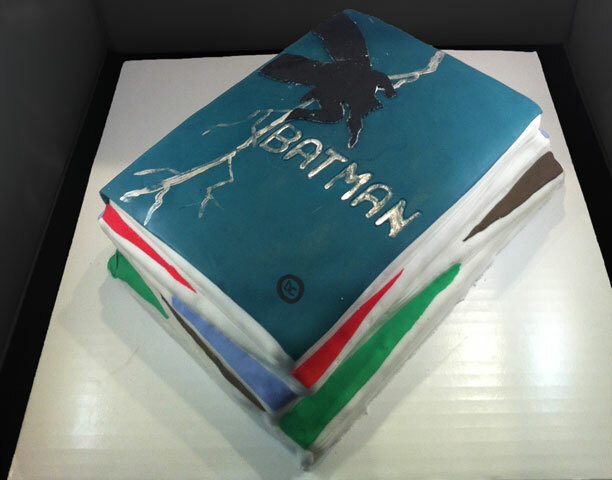 But since each comic book was so thin I thought that would be way too much fondant. So I decided to stack the cakes before I covered it in fondant. What was challenging was making sure the fondant molded to all the crevices in the cake. Then making the books stacked under the top book look colorful was a challenge too since I had to cut small triangles of color to look as if the entire book was covered. I had a lot of fun making the pages look like pages though. 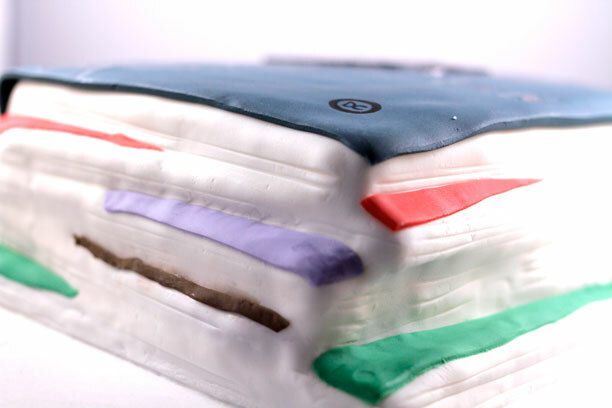 I used a ruler with a sharp edge to push into the fondant making it look like several pages in a book. The cake was chocolate cake with vanilla buttercream underneath. It took about 3 days to make.